What are some popular philosophical objections to Christian theism? Since we’ve been looking at history and science so much recently, I decided to list some philosophical objections to Christian theism. Why isn’t there more evidence for God’s existence? What about those who never heard about Jesus? Is religion more like ice cream or medicine? Aren’t all religions basically the same? What makes Christianity so special? Let me just comment on the first two briefly. First, the problem of evil. You should definitely start by making the atheist define what evil is, ontologically. This is, of course, impossible on an atheistic worldview, since there is no such thing as an objective moral standard or objective moral duties, on atheism. On atheism, there are only two possible sources of moral values and moral duties: 1) individual personal preferences and 2) arbitrary cultural conventions. Neither of these is adequate to ground a robust notion of evil. Second, for the problem of suffering. People today are pretty sure that God, if he exists at all, would want humans to make themselves happy in any way that they want. This is, of course, a pretty self-serving concept of God. The purpose of life on Christian theism is to know God, and suffering may be necessary to help us do that. Even Jesus suffered. My own view is that suffering is necessary to cause people to desire God more than they desire earthly happiness and comforts. Third, the hiddenness of God. Check if your objector is already familiar with the standard scientific arguments for the existence of a Creator and Designer, as well as the minimal facts case for the resurrection. There is a lot of evidence available, but it takes a little digging to find it. God is not interested in coercing people’s will by dazzling displays of his power. He is interested in having a relationship with people who are interested in him, and that means people must seek him. You can find some less common or less interesting objections in my list of arguments for and against Christian theism. In 1994, when this debate was held, intelligent design was still pretty new. This debate, more than any other resource, clarified what was at stake in the debate over origins. Provine makes clear what follows from the truth of evolution: no free will, no objective standard of good and evil, no life after death, no meaning in life. Johnson argues that the Cambrian explosion disproves Darwinian evolution, and the only reason why Darwinian evolution is widely-accepted is because materialism is pre-supposed. If materialism is pre-supposed, then only atheistic answers to the origins question are allowed, so naturally Darwinism wins – it has to win once you make a philosophical assumption that matter is all there is. (An assumption contradicted by the big bang theory, which requires the creation of all matter from nothing. Debate before an audience between two professors on the naturalistic vs. the theistic way of understanding human existence. 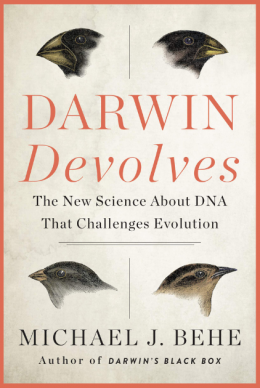 William Provine, Professor of Evolutionary Biology at Cornell University, cites evidence supporting neo-Darwinian theory and argues that microevolutionary processes account for the origin of all life. He asserts that modern evolutionary theory is incompatible with belief in God; that there are no absolute moral and ethical laws; that free will does not exist; and that human character is merely a result of heredity and environment. Phillip Johnson, Professor of Law at the University of California in Berkeley, agrees that modern neo-Darwinian theory is atheistic and scientific; however, as a general theory it is a philosophical dogma that is inconsistent with the evidence. Provine and Johnson debate basic questions: Do we owe our existence to a creator? Can the blind watchmaker of natural selection take the place of God? Moderator is Timothy Jackson, Dept. of Religious Studies, Stanford University. The rest are linked here. This is very much worth watching, especially for atheists who typically are not aware that evolution rests on a philsophical assumption that is assumed, and that contradicts astrophysics. That has to stop. And the best way to stop it is by calling it out into the open using debates like this one. For those of you behind a firewall, here are text excerpts. And don’t forget about my recent post about the role of pre-suppositions like the pre-supposition of naturalism in historical Jesus research. The post contains debates where this is actually discussed as well. Rodney Stark is an agnostic, but he does a good job of telling the truth about the history of Christianity. If you want to see a good book added to this list, leave it in the comments and I’ll take a look. Oh, by the way, check out this quiz that The Way the Ball Bounces found from Apologetics.net. Check out this 5-part video of Matt Flanagan’s recent lecture at the Thinking Matters conference in New Zealand. If you don’t understand what moral relativism is, this is a thorough treatment that covers all the bases.